Olympian has a long and proud history from when the club was first established in 1965. The club was founded by Charles Appenzeller who was among the first in getting the sport established in Ireland. His beliefs in discipline, hard work, perfection in execution, consistency, and dedication in everything we do, is the main ethos of the club. Additionally, this is also balanced with the fun and enjoyment of the sport through unique teaching. Olympian Gymnastics Club was founded in 1965 in Trinity College Dublin, when a few students and enthusiastic adults started training together to a limited Gymnastics programme. Charles Appenzeller was among the founding members of Olympian Gymnastics Club. The equipment at that time was basic and primitive. However the enthusiasm was great and the members made the best of the available facilities. The Club membership grew in size and began to attract younger gymnasts. After two years the hall in trinity was no longer available and the club relocated to a small scout hall in Donnybrook. The hall was unsuitable for many activities yet the club produced good gymnasts who won medals at basic National Championships. Luckily after a few years in the Scout Hall the Club moved to Templeogue College and has remained there since 1971. A fine hall with a storeroom, changing rooms and showers, Templeogue was a perfect place for training. This encouraged the gymnasts to buy equipment of their own mainly for men’s artistic gymnastics the strongest discipline of the club.This enabled the club to organise a dedicated training programme which made the club one of the leaders in men’s artistic gymnastics. The women were not neglected, their numbers continued to grow and they soon made up the majority of the membership. In the early 1990’s Olympian established itself as the base for a General Gymnastics discipline. Since then there have been many training courses and seminars held in Olympian in Templeogue. General Gymnastics became extremely popular because of the physical and mental health benefits especially for young children. The training times were extended and a substantial amount of new equipment was purchased. 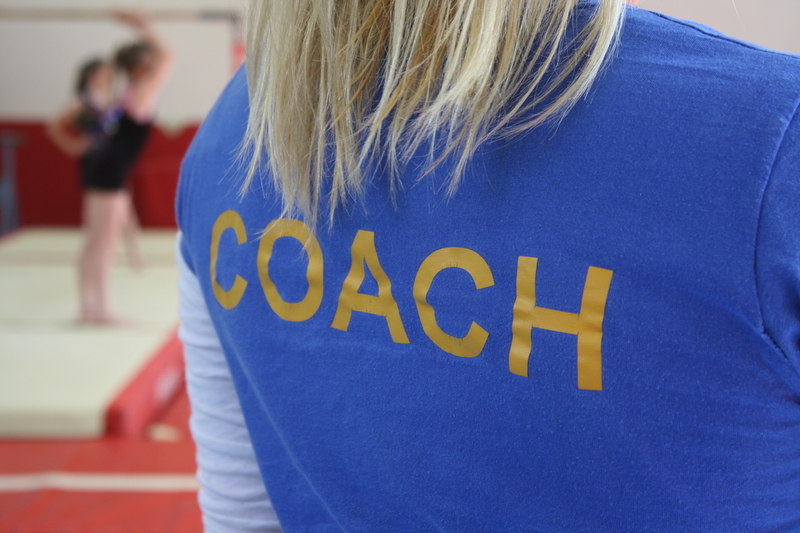 In early 2000 a younger team of coaches started in the club to cater for the growing demand in General Gymnastics. Classes were increased and divided into different age groups. A gym tots class was introduced to teach physical coordination to young children through stretching, use of apparatus (mainly foam shapes) and games. The number of gymnasts competing at regional and national competitions also increased as small groups of gymnasts trained intensively. Many of the present members are already of the second generation as their parents were club members in their youth. Our recreational classes include a fantastic range of fun activities that promote social, mental and physical development. We cater for gymnasts from the age of 3½ upwards and some of our older gymnasts have competed at national and international level. We had a growing number of competitive gymnasts some of whom are on the national squad. Since 2006 our Display Gymnastics Teams have taken part in numerous events across Europe and many of our gymnasts strive to part of those teams. Olympian Gymnastics no longer has competitive squads in Artistic Gymnastics, now the club’s focus is geared towards Gymnastics for All, Pre-School Gymnastics and Display Gymanstics.